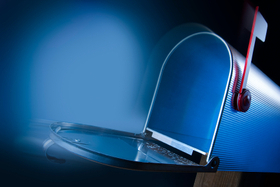 Direct mail is great for small businesses. It's the most reliable marketing tool small businesses have at their disposal. I am here to tell you how you can make more money from your direct mail campaigns, and it actually has nothing to do with the campaigns themselves. The key is to nail down your Unique Selling Proposition. A Unique Selling Proposition (USP) is a statement that simply and clearly explains the EXCLUSIVE benefits your business offers, which none of your competitors can match. A USP makes all your marketing better because it offers a clear message to prospective clients that tells them why you are the best option in your industry. It strengthens your company's brand and sets you apart in even the most crowded of markets, which puts your company in a position to create much better returns on your marketing investments. People love exclusivity. Take a look at your company and make some honest and objective observations. Do you offer anything that is completely unique in your industry (no one else is doing it)? That's an exclusive benefit. If you don't have one, don't lose any sleep over it. You can still create one. It's never too late to make your company more desirable. Get together with your trusted advisors. Discuss the exclusive benefits you found and get them to look for any others you might have missed. If you don't find any, start brainstorming about a benefit you can add to your operation. Can you stay open later to make yourself more available to clients? Are you willing to offer a unique guarantee on your products or services? No idea is too silly or out of bounds at this stage. Just get all the ideas on paper. Note: Changing your operations sounds scary, I know. But trust me, the improved strength of your marketing will more than offset the new expenses or increased overhead you may create. I started the company in 1998 and we started to generate some momentum in the industry. People noticed. Our competitors started to copy our operation. I thought that was great, BUT they also started undercutting our already low prices, turning our previously unique benefits into an industry standard. That meant I needed to make a change to stay ahead of the industry. I had to go back to the drawing board, where many of you are right now, to create another exclusive benefit. I looked at my customers and I asked myself, "What is their biggest frustration with our industry?" I had an epiphany. It was failure. These small business owners invest their hard-earned money into direct mail campaigns, and when they don't bring back the return on investment they wanted, they swear off direct mail for good. How could I offset this frustration and hesitation from my prospective clients? A) Every business is different, so a strategy that works for Business A may or may not work for Business B. C) Some clients heed our advice and some don't. D) We aren't always right, because direct mail is not an exact science. The variables I mentioned earlier prevent it from being a straightforward success formula. I decided the only way to remove the hesitation from prospective clients was to show them that my strategies had worked for other clients like them. That is how my Results Manager position was born! PostcardMania's Results Manager is a dedicated staff position for tracking and analyzing the results of EACH AND EVERY campaign we mail. Today, I can proudly present our current USP, which states that we are "the ONLY postcard marketing company that builds your campaign based on the proven results of our 60,000+ clients (hundreds of thousands of campaigns)." Now it's decision time! Look at your list of ideas. You are the only one who knows your business and your industry in your particular location. Which benefits are easiest to implement? Which benefits are most attractive to your average client? Try to find an exclusive benefit that has the best balance between those two qualities (desirable to prospects and easy to implement). Once you have your USP written and you have the wording just right, the fun part begins. Start bragging about your exclusive benefit. Get it on every piece of marketing material you have. And anything else that prospective clients see. A great USP can take your business to the next level. Companies with well-designed USPs are industry leaders, because they are pioneers by nature, doing what no one else will in their industry. Get started on crafting yours and make 2014 your best year yet! 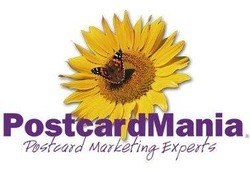 Joy Gendusa is the Founder and CEO of PostcardMania, a fully-integrated marketing firm specializing in direct mail. She used postcards to grow PostcardMania from just a phone and computer to a $22million enterprise in less than a decade. How Do Companies Create Direct Mail Lists?